Just an update on the PES 2018 world cup kits, the kits are now ready to download. Some kits have not yet been revealed yet and not all are complete for this first update. These kits are of course free to anyone who has purchased the PES 2018 update. I have put a full update including all teams and then just a smaller International update. 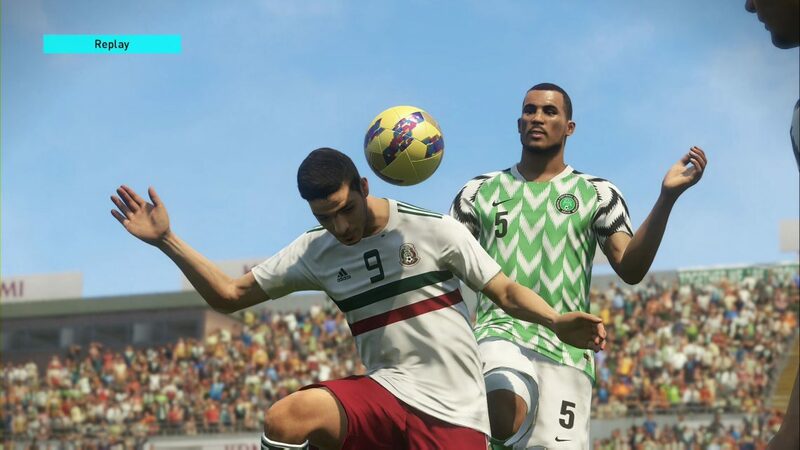 This will have all international kits including the ones that have not been updated yet as it will be a bit of a pain to separate the ones that have not been updated yet out. Below are a couple of screenshots of some kits further down are a couple of videos showing what they look like in game. Sorry to sound so dense, I cannot seem to find the download link/instructions? The download is on the pes 2018 updates page under the pes menu. I may have forgotten the instructions! I will add these when I get home tonight. You must be logged in to view the page which I am sure you are as you need to be to leave a post.